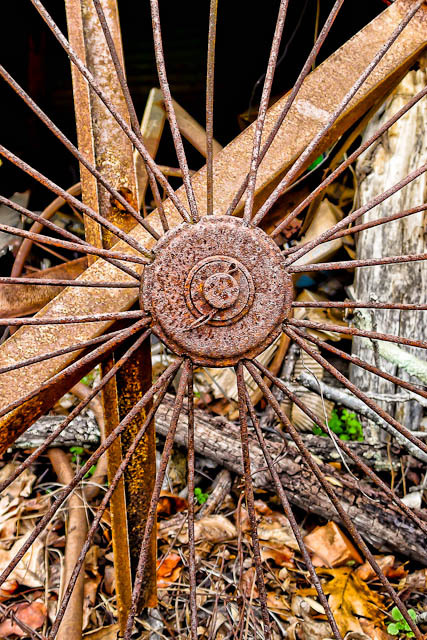 Looking through a pile of “junk” behind an old barn near where we live, I spotted this “whatever” spoked wheel device. Not sure what it once was part of, or it’s purpose, but decided to make it a part of my image library. I liked the rusty metal detail, which really came out when I added a Topaz Adjust layer in Photoshop.